We are hoping that we will be able to do treatment with you guys every summer!!! I have relied on the experts that are opening Hyperbaric Centers of Florida to provide treatment for my Lyme Disease for the past five years. The Guerra family is very thankful for your services at Hyperbaric Centers of Florida. Our experience in your facility was very pleasant, clean and home warming. The treatment has been a blessing to our son Kenny. He has been recovering and progressing amazingly, we’ve noticed many changes after his treatments. His personality, thinking, reasoning are coming back like Kenny was always. He is more independent, he’s cooking his own meals, playing video games, taking care of his image, he saves, showers on his own and amazingly all his acne has disappeared. Wish you our best wishes. We really enjoyed meeting you and getting to know you over the last 3 weeks. Your sweet demeanor and hospitality made us feel right at home. We cannot tell you how important that was for us while we were away from home, a bit anxious, and doing treatments. We cannot thank you enough, but want to give you a token of our appreciation. Hi Stephanie, We appreciate the kindness, care and support that you all showed to us during Christian's treatments. Everyone was so nice and very helpful to our family. We are pleased that Christian is now able to communicate with speech, everyday he is getting more clear and confident. At night when it's time to go to bed he feels really great about practicing saying all of his new words for hours. Christian can say; " I am happy, I feel good." His face looks totally different now that he knows he can get his words out, he is getting better at speaking everyday. One of his teacher's today was saying how she just let him talk to her all day. This teacher has just recently returned to school, she had been out since summer due to having a surgery. Mrs. Lisa told us today that she is amazed to see the difference in Christian and to now be able to know what he is thinking. We are all excited to hear something new from him everyday. I got another good report from school today, this time from Christian's main teacher. She wanted to tell me herself that he talked to her all day. That was very exciting for her! I could see how surprised she was because he was still talking as she was talking to me. My experience in the Hyperbaric Centers of Florida was an easy and pleasant time. Very friendly professional staff. The office hours were great, because it was really conducive for my schedule. Larry and I are feeling fine…. But especially Larry! He is able to hop up in the back of his pickup truck in one leap! Last year before treatment he could hardly make it with at stool! We are leaving soon, but plan on a few more Hyperbaric Oxygen Therpay in the fall to keep the good health momentum going forward. Six years ago I was given four months to live as a result of liver failure. The owners of Hyperbaric Centers of Florida provided treatment for me at their center in Texas and I was able to begin to grow new liver tissue. My primary care physician can not believe that his four month prediction was incorrect. I do require "booster therapy" which involves a few treatments every 6 to 8 months, but my health is excellent and I look forward to a long and productive life. Everyone at the center was kind, professional and supportive during duration of treatments. Richard has better energy levels, better at performing work tasks, and reading with better comprehension. He seems to have improved communication skills as well as helping him with his friendships. Thank you again for your kindness and support. Since we have left there he (our son) has been asking to go potty a little more often. Not yet really potty trained, it is a step in the right direction. He has been walking around the house saying "Monkey Boy" (his nickname we gave him). He also happens to repeat something Mommy said! lol. I had stepped on a pricker for the grass, and I happened to say "son of a b**ch" and he repeated it! I couldn’t help but laugh. He hasn’t said it since so that’s a plus. Other than that, the teachers have said that he is starting to focus more and it is easier to get him back to focus when coming out of a meltdown. He seems to reply sometimes with the right answer when asked a question like "Do you got it?" he replies; "I got it", as he walks away. He has been doing really good. I am in hopes to see more improvements and also would like to come back when we can. It is just a month since the end of our 20-day session you afforded us. Hilda’s short-term memory is much improved. Also, her skin tone and color is better. Old age brings on numerous bruises and we find them healing more quickly. Hilda’s energy level is also up a few points. I had no specific complaints, so I was there to assist Hilda and be a companion in the chamber. I found the overall experience to be a pleasant one. It was also a pleasure to meet persons who are having positive results from the sessions. Joseph (my son) is showing more eye contact, more affection and more conversation. His OCD has lessened (repetitions are not as constant). It has not been 3 weeks yet, but I do see improvement. Thanks to Stephanie, Miss Carol, Fred and Barbara for taking care of him. He still remembers the M & M rewards. We miss all of you there, too. Maybe we'll get back to you some day. You made us feel very comfortable. I feel a lot better already, and can't wait to get back bowling. I start today. Wish me luck. Regards to all and GOD BLESS YOU. Our Experience at your facility was much more than we expected! Everyone was very professional and friendly, helpful, knowledgeable and patient. Regan, we believed, truly enjoyed her time in the chamber. Not one time did she complain about her visits and in fact, she was very eager to go! Since her therapy has stopped, our family and friends agree that they see development in Regan. She tends to make more eye contact with strangers, asks intriguing questions for clarification and initiates spontaneous conversation with others. We are very pleased with everything and look forward to future hyperbaric opportunities. Last Fall 2013 as a paraplegic, I had the privilege of experiencing and witnessing myself how this treatment can save and improve lives. This great news in medicine must be shared and allowed to grow. The approach is somewhat basic in nature, but with technological inventions it becomes a common tool to one day be utilized for everyone. This therapy is definitely part of our future preventative and post healthcare. The staff are another proof of this with alert professionals providing a comfortable atmosphere and an enormous caring spirit. They really took time to explain how it works. I think they really like that part. The story for me is, after an exhausting failure with old western medicine techniques, my pressure sore injury was not improving. 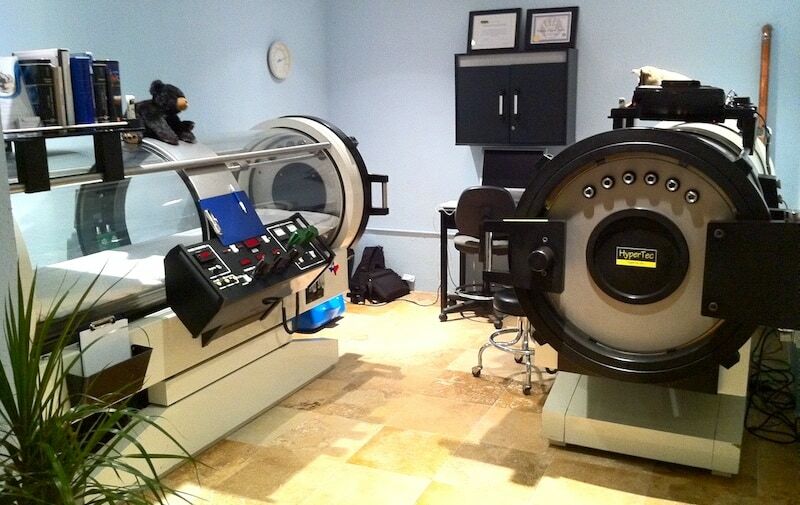 So after web surfing a bit I came across Hyperbaric Centers of Florida. My familiarity was limited to how it helped divers who had been injured or just need to decompress. The first 10 visits were really informative and eye opening. To say detoxifying is part of the process is a polite way of saying your going to be surprised that was in you. But that’s great! You’re on your way to a healthier you! The next 10 days started showing better circulation in my legs, more energy, sleeping better and improvement in general all around. My last 10 days, making it 30 straight treatments, I wanted to go to see if I could benefit anymore. I believe it did. And whenever I need a 10-day cleansing and revitalizer, you can bet I’m going to Hyperbaric Centers of Florida! Best Hyperbaric Oxygen Therapy in Florida! Get It Now! Limited Number Available - Free Consultation - New Customers Only - One Time Use Offer.